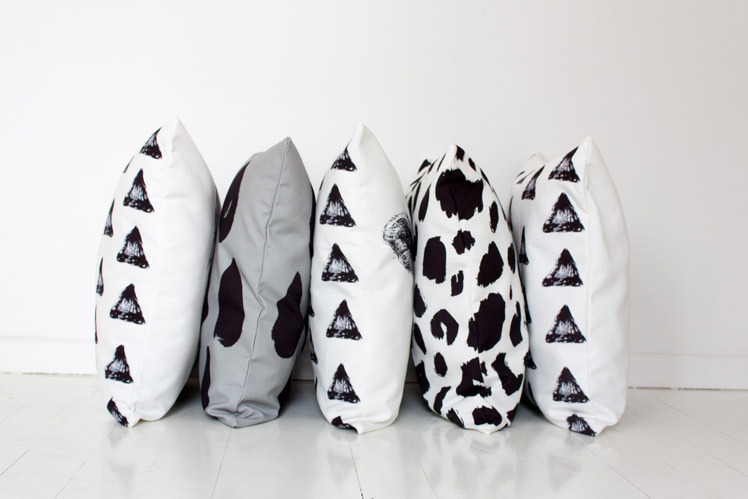 Today we chat with Penelope, who creates bold weatherproof cushions under her label Into the Fold. Read on to discover the adorable inspiration behind this fun and playful label. Tell us a bit about Into The Fold and what we can expect to discover? Into the fold is design focused with a quirky edge. 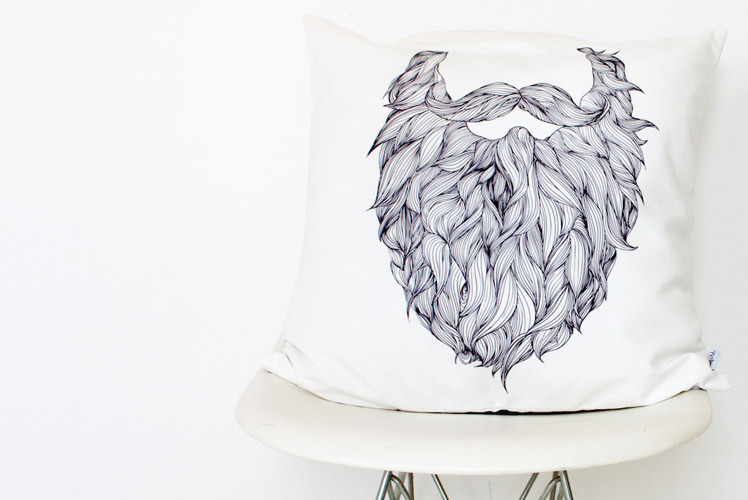 Our weatherproof cushions are versatile and durable without compromising on style. Our minimalistic, monochromatic design enable their surroundings to do the talking. The weatherproof fabric is perfect for households with kids or pets and is suitable for outdoor living but soft enough for indoors. By purchasing one of our products, you are being welcomed into the family, welcomed Into the Fold. What is your background and how did you start working with waterproof cushions? My background is in media sales, but since moving from Sydney to Northern NSW and having kids, I decided to start my own business. 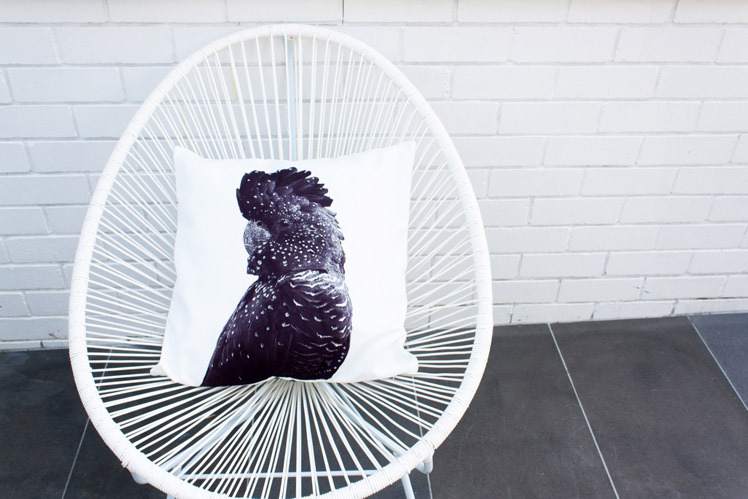 I have a strange obsession with cushions and I went looking for some outdoor cushions for my place and I couldn’t find any that inspired me so I thought I would start my own company. 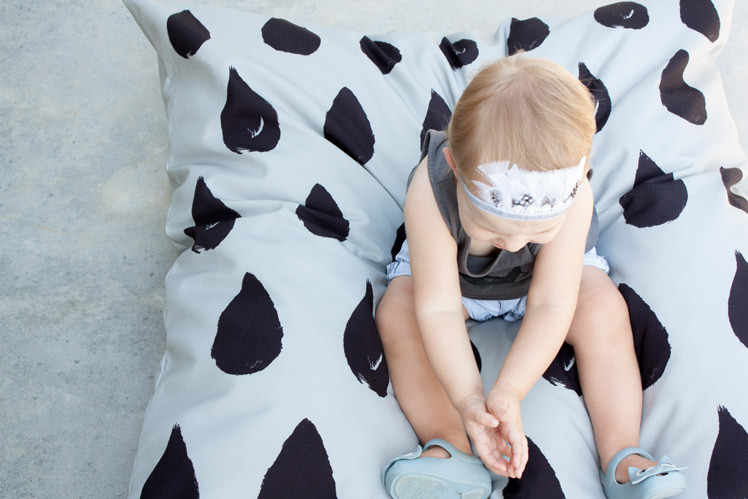 The “Floorie’s” came about because my kids always throw our pillows on the floor and I thought something in a durable fabric would be perfect for our grubby little people to laze about on both indoors and out. I am constantly inspired by the Instagram community, the people on there honestly blow my mind. 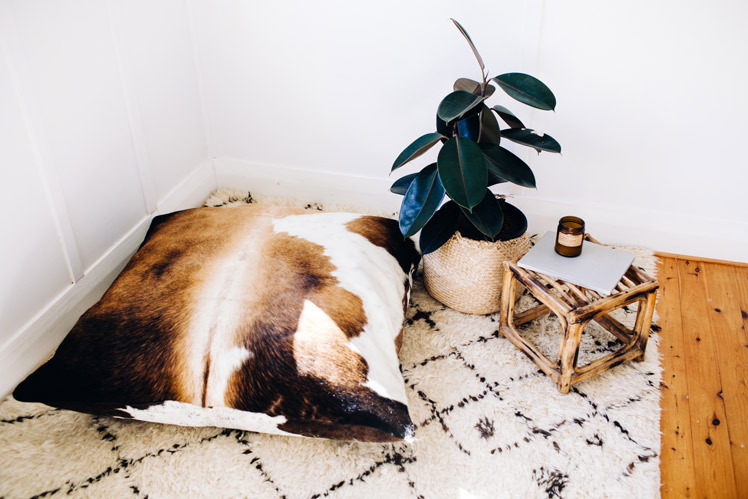 I am inspired when I see how people incorporate my cushions into their homes- Instagram allows you the chance to see that and I think that is pretty magic. My ‘workspace’ is a corner of my bedroom… so glamourous! It is where I work on designs, dispatch orders and basically get all my bits and pieces done. I have a beautiful trestle table made out of a recycled door and inspiring artwork from May Leong and George Sand Studio looking down on me. My creative process varies from design to design, sometimes I’m getting my hands dirty painting with all sorts of different objects, other times my hands remain clean while I am commissioning other artists to help create/realise my designs. The biggest challenge is creating designs that actually appeal to others… it is all well and good to create something that speaks to me, but there is a real risk when you are on the brink of releasing a new design and waiting to see how it will be received. Logistics is another of my weak points!! International postage is a nightmare!! I love creating pretty things. 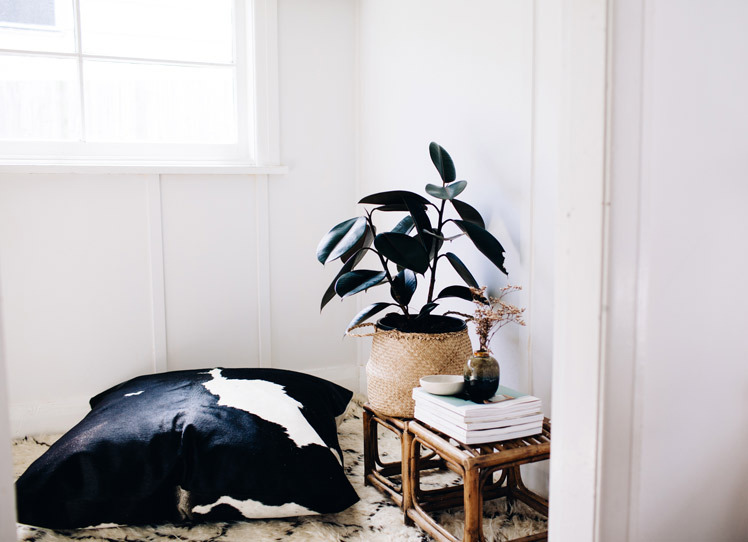 I love seeing people’s reactions to my pieces and I love to see them styled in peoples’ homes! There is nothing more rewarding than seeing something you have conceptualised appear in someone else’s home!